Math – We are close to finishing unit 6, the test remains scheduled for Wednesday with the new unit starting Friday. The next unit is about exponential notation and the subtraction and addition of positive and negative numbers. Science – Students are getting acquainted with the stream tables and building models of canyons, deltas, and erosion processes. We will be using video cameras to document our learning in this unit and then share it on our website. Social Studies – We are delving deeper into the middle colonies and students are getting ready for Colonial Day Feast. They are particularly keen to figure out their costumes for the feast. We encourage them to dig through closets of parents or grandparents to fin d the proper attire, please see our website for ideas. Reading – We moved “Jump Ship to Freedom” for next week so that the students instead could use the reading time to explore comparative adjectives. One of the videos will be published on YouTube as well as our website. Writing – We are almost done with our secrets of 5th graders project and I am getting excited to see what the students have written. Next week we will do the district writing assessment to be discussed at my literacy meeting in February. * Thank you all for your congratulations on the news of our twins. 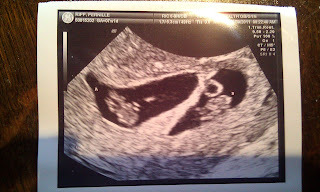 It will take some time to adjust for sure but we are over the moon at the prospect of two little babies. The kids have been so funny this week with their questions, such as “Does this mean you cannot get a pie in the face?” (No!) “Do you throw up all day?” (No) Are they kicking? “(Not yet) and my favorite “How huge will you be?” (Huge hopefully!) The students have also been very creative with their name suggestions even offering up their own names as choices. * We will be going sledding but just have to wait for a day with warmer temperatures. I will give a heads up as soon as we pick a day. * We are still looking for donations of snow pants; if you have any old ones to donate please just send them in. * Congratulations to Sophia Bo for representing us at the district spelling bee – how awesome! * Please check Friday envelopes as the students have “Team Up” letters from our guidance counselor. Students should read these with their parents/guardians, sign them and return them to me on Tuesday. * I have some dates for you to put on your calendars: No school Monday, January 23rd, WM PTO meeting Thursday, January 19th 7 PM, Math test unit 6 January 25th, Colonial Feast January 31st, No Mrs. Ripp 8:15 AM to 10 AM February 2nd (students will have math with Mr. Meinholz instead), Valentine’s Day Party 9:30 AM February 14th, Early Release February 14th, Assembly February 16th, Carnival Saturday, February 18th 2 PM, and finally The Family Feast February 22nd at 12:20 PM. Disclaimer: Due to Paul's excitement he does say the "S" word in this video, please do not show it your child if this is not dismissible. In November, I wrote a post asking for help in giving my brother Paul a very special Christmas. He was at the time deployed to Afghanistan and expected to come home before Christmas. Besides being an incredible trauma nurse and studying to be a doctor, he is also the biggest Maple Leafs fan I have ever seen. So in my post I asked if anyone could help me get a shirt for him and lo and behold it all happened due to the power of Twitter. Watch the video below how it all went down and thank you again if you were part of the journey in getting the word out.